Warren, Washington, Saratoga County Bottling Services: History Of Fitzgerald Brothers Beverages, Inc.
Fitzgerald Brothers Beverages, Inc. was founded in 1857 in Troy, New York. It is currently in its 6th generation of ownership. The Company started out distributing various liqueurs, gins, whiskeys and brandies. 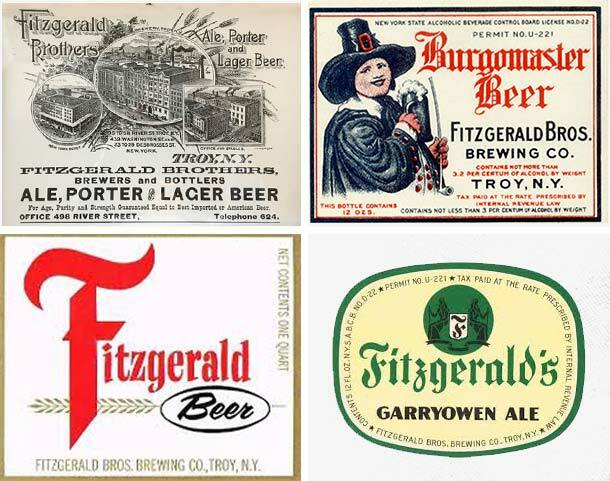 A decade later, it began brewing it’s own brand of beer, Fitzgerald Beer and Ale. During the next 150+ years, the Company continued to adapt and change based upon the needs of it’s customers. In 1961, Fitzgerald Brothers Beverages, Inc. purchased the Pepsi Bottler located on Dix Avenue in Glens Falls and continues to operate out of this location. In 1986, as Coors Brewing Company expanded east of the Mississippi River for the first time, Fitzgerald Brothers Beverages, Inc. was awarded the distribution rights in the Albany Capital District for all Coors brands, which it serviced for 25 years until 2011. In 1996 Fitzgerald Brothers Beverages, Inc. acquired two Full-Line Vending businesses to expand its services into Full-Line Vending. After 18 years, in April 2014 Fitzgerald Brothers Beverages, Inc. divested its Full-Line Vending business. Today, Fitzgerald Brothers Beverages, Inc. continues to provide a full portfolio of beverages to nearly 1,750 customers in Warren, Washington and northern Saratoga counties.